Mehmet, owner of the Ambience Bar and Restaurant in Henry Street, Lytham is to set off at the start of June on this epic drive from Lytham, across France to reach the Mediterranean country renowned for its Monte Carlo casino and celebrity lifestyle. Thirty-four year old Mehmet was brought up on the south west coast of Turkey and has always been keen on water sports. He moved to Lytham in 2006 and quickly joined the local kite surfing group to continue his connection with the sea. As a water sport fan he feels that the RNLI deserves support from the entire community to help fund the Volunteers who provide this vital rescue service. He is combining his passion for water sport with his love of motor bikes to carry out this arduous journey. Fundraising for the lifeboat, the charity that saves lives at sea, begins in the Ambience Bar at noon on Sunday 29th May and all are welcome. Complimentary champagne, canapés will be on hand as well as live music. An appearance from 'Adam and Eve' is expected. 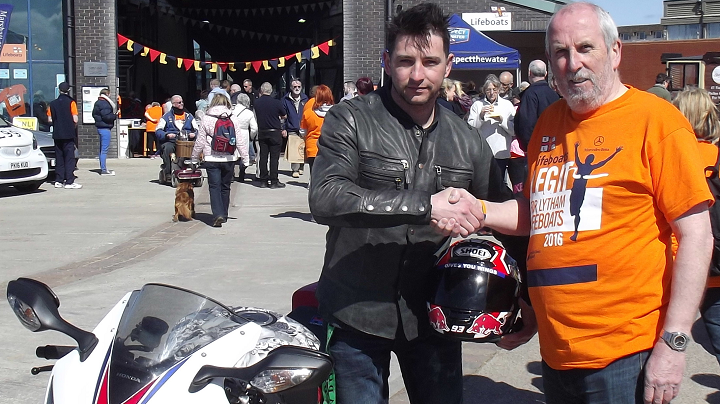 The ride itself which starts from Henry Street on 2nd June, has been sponsored by local businesses including North West Honda, the Blackpool motorcycle dealers, therefore allowing money raised from the ride to benefit the RNLI, which receives no government funding. Mehmet will be riding on his own Honda motorbike down to Monaco.